Kuhn, who celebrates his 35th birthday on Monday, has accepted the county’s offer to become interim captain for the first month of the 2019 campaign while both Sam Billings, the club skipper, and Joe Denly, the vice-captain, fulfil their Indian Premier League commitments. Though Kuhn will also miss this week’s opening fixture of the season, a three-day, first-class match against Loughborough University MCCU at The Spitfire Ground, St Lawrence, the gritty right-handed batsman says he is very much looking forward to leading the county in their opening four-day fixtures in Taunton and Birmingham. “We all knew that Sam and Joe would be missing from Kent for the first month or so for the IPL and we all wondered who would have to skipper instead,” explained Kuhn from his South African home in Midsteam Estate, Pretoria. Kuhn, who says he has enjoyed successful captaincy stints for South Africa A and the Multiply Titans – his domestic franchise – even found time during our winter to meet up with Walker and the Kent squad during the county’s pre-season training camp in South Africa. “I was playing for the Titans over in Cape Town and was happy to meet up with some of the lads while they were over there. It was good to catch up on the gossip. “I’ve been hitting the ball pretty well for Titans over the course of your winter, in fact I’m averaging 50.40 at the moment, and on Sunday we’re playing in our one-day tournament final. During his first full season with the club in 2018, Kuhn amassed almost 1,300 runs across the formats at an average of almost 60. His run of four Royal London One-Day Cup centuries in five innings also helped propel the Spitfires to their first Lord’s final in a decade. He was awarded his county cap in June and rewarded for his stellar form soon after with a contract extension as the county’s long-term Kolpak signing. 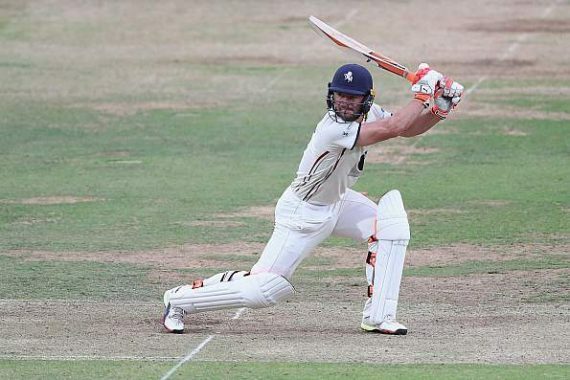 Kuhn looks set to make his county championship captaincy debut against Somerset on Friday, April 5, where Daniel Bell-Drummond, who cut his cricketing teeth at the town’s acclaimed Millfield School, is likely to be interim vice-captain. The county will also consider club debuts for close-season fast bowling recruits Matt Milnes, who signed from Nottinghamshire, and left-arm Netherlands seamer, Fred Klassen. This entry was posted	on Friday, March 29th, 2019 at 9:47 am	and is filed under Cricket, Featured. You can follow any responses to this entry through the RSS 2.0 feed. Both comments and pings are currently closed.